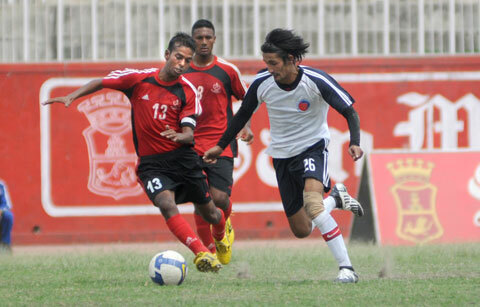 Football clubs of Nepal are pulling up their socks for the highest prized football tournament to be held in Kathmandu. British Gurkha Cup Tournament will kick off soon in Dashrath Stadium Kathmandu with the winner grabbing one million rupees. MMC, Three Star, Police, Army are tough contender but all of them will not write off the surprise new action packed team Himalayan Sherpa. We wish for the success of the tournament. Who will be next coach? With Roy Dias leaving after a decade who should be the man in charge of Nepalse Cricket Team? It is learnt that CAN is working hard to bring Indian coach. Nepal should go for international and experienced coach with more special knowledge on batting coaching. Hopefully Nepal finds the right one sooner than later. What Paras said after the match? Nepal went on very close to epic victory against strong Sri Lanka in quarterfinal of Asian games in cricket T20 but ladyluck was not on Nepal’s favour. Sri Lanka might had not thought Nepal could keep them under heavy pressure, once Sri Lanka were 42/7 chasing 73. Nepalese bowlers produced sensational speed and also kept world class fielding. Sri Lanka were almost down and surrendering to Nepal but 9th wicket partnership saved them. Earlier Nepal could only amass 72 runs with some good knocks by VC Gyannedra Malla and skipper Paras Khadka. Nepal lost wickets very cheaply after a good start when they were 52/2 in 12th over. Nepal fought very well and proved that you should Nepal write off Nepal’s fighting back power. With this defeat Nepal is out of the tournament but it was a great performance and definitely Nepalese players spirit is high after the match. South Asian Games and Asian Games provide cricketing nations like Nepal to have great chance to play against strong Test playing nations like Sri Lanka and Pakistan. Now Nepal has entered quarter finals of Asian Games being held in China. In other match, Bangladesh defeated Malaysia to enter semifinal whereas Afghanistan will be locking horns with Hong Kong. All the best Nepal Nepal.